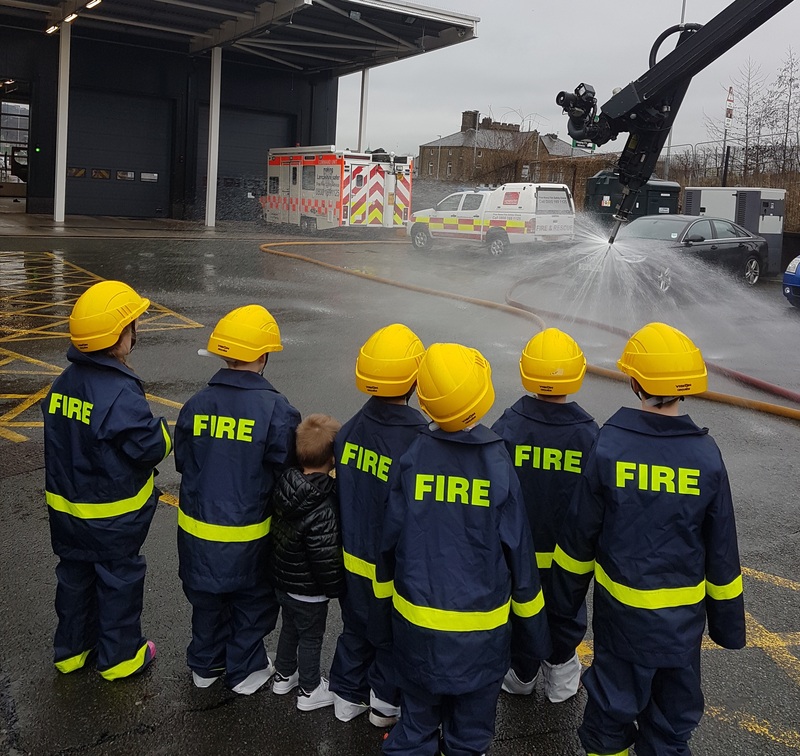 Six local youngsters enjoyed ‘a day out with a difference’ when they were entertained by Lancashire Fire and Rescue Service, at Blackburn Fire Station. The prize was one of hundreds donated to the Secret Santa appeal in the run up to Christmas and Lower Darwen couple, Phil and Karen Boulding, directors of the appeal said: “When we learned of the offer from Sean Howarth at Lancashire Fire and Rescue Service it went over and above our wildest dreams. We were not disappointed. During the experience the youngsters dressed up as little firefighters and climbed all over the fire engines, turning on the lights and sirens. All this was followed by lunch with ‘real’ firefighters. Fire fighter Sean Howarth said: “We were delighted to be part of the Secret Santa appeal. As well as the excitement of the visit, the youngsters learned the practicalities of saving lives and were given information about house fires and how to escape one. We also chatted about the importance of always wearing a seat belt when travelling in a car. “We hope it was a truly educational experience and one they will remember for the rest of their lives.